Feremina Chrysanthia Robles-Greene, 74, passed away peacefully on Monday, January 28, 2019 at Litchford Falls Nursing &Rehabilitation Center in Raleigh, NC. She was born on November 24, 1944, in St. Thomas, U.S. Virgin Islands to Lionel Robles Sr. and Marietta Callwood. 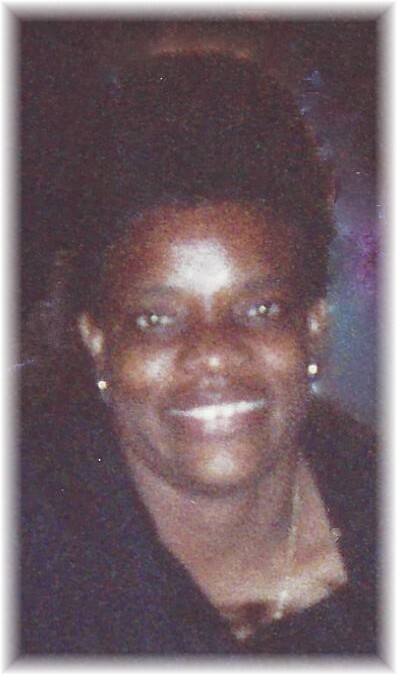 She is survived by her four children: Yvette Greene, Yvonne Greene, Evin Greene Sr., and Kisha Roberts-Boulai; son-in- law, Francis Boulai, Sr.; six grandchildren: Keshawn James, J’vani James, Sean Griffith, Evin Greene Jr., Francis Boulai Jr., and Demorie Boulai; siblings: Jean Robles-Wilshire, Joyce Robles-Potter, Ethel Robles- Joseph, Anne Marie Robles Lettsome, Gertrude Robles Plaskett, Lorraine Francis Edwards, Edith Robles-Vimmerman, Lionel, and Elridge Robles; nieces: LaVerne Thomas, Jasmine Simeon-Pratt, Jackie Simeon, Shelby Potter, Eldra Potter; nephews, Darryl, Dale, and Leroy Thomas; and many more nieces and nephews. Feremina was preceded in death by her parents, sisters, Joan Robles- Williams, Stella, Eleanor and Eusidia Robles, and brothers, Danny, Rudolph, and Roy Martin, Donald and Winston Robles. A memorial service will be held on Friday, February 1, 2019 at 10am in the Chapel of Bright Funeral Home, 405 S. Main St., Wake Forest, NC, officiated by Father James Magee. In lieu of flowers, donations may be sent to Dementia Alliance of North Carolina, in memoriam of Feremina Robles-Greene. Contributions may be mailed to 9131 Anson Way Suite, Raleigh, NC, 27615 or online at dementianc.org. “May her soul and all the souls of the faithful departed rest in peace”.